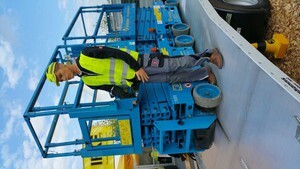 Almost a million deliveries or collections of mobile elevating work platforms (MEWPs) take place each year on UK sites. Delivery drivers play a vital role. They are probably the only face and actual contact point between the rental company and the end-user on site. Any incident involving drivers during delivery and collection of a MEWP has the potential to be serious and could also affect contractor relations and site operations. A total of 428 incidents involving MEWPs were reported by rental companies in 2014. Of these, 35.5% (152) involved delivery drivers and 24.5% (105) involved engineers. Operators, including contractors, truck-mount operators and employed operators, were involved in 28.7% (123) of the incidents reported. A majority of the incidents (44.2% or 189) took place on site, with another 25.7% (110) occurring in the depot/yard, 13.6% (58) occurring in the workshop and 11.2% (48) occurring on the public roadway. The most common types of injury incurred were cuts and bruising of the upper limb, lower limb and head. Most of the incidents involving delivery drivers occurred during loading and unloading (48.7% or 74 of 152). The main causes of driver-related incidents were identified as insecure load (18) and the machine falling off between ramps (14). Closer analysis of the incidents caused by insecure load revealed that these were mainly due to the canopy becoming detached from the MEWP during transport (9 of 18 cases). Almost all the machines that fell off between ramps (11 of 14 cases) were small electric machines (mobile verticals, 3a). Most of the incidents involving engineers occurred during maintenance (66.7% or 70 of 105). The main causes of these engineer-related incidents were identified as using hand tools (21) and slips/trips (16). Closer analysis of the incidents caused by using hand tools revealed that these were due to using hammers (6 of 21 cases). Almost half of the slips/trips happened whilst walking (7 of 16 cases). Most of the incidents involving operators occurred when the MEWP was being operated from the platform controls (51.2% or 63 of 123). The main cause of these operator-related incidents was identified as lack of observation and failure to check the route, i.e. colliding with stationary objects while driving on unfamiliar sites. If you have MEWPs on site, ask yourself: Are you doing enough? 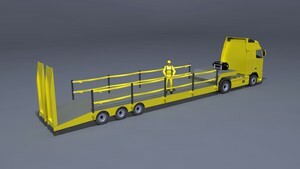 Have you had any load or unload accidents? What do you cover when training your drivers? 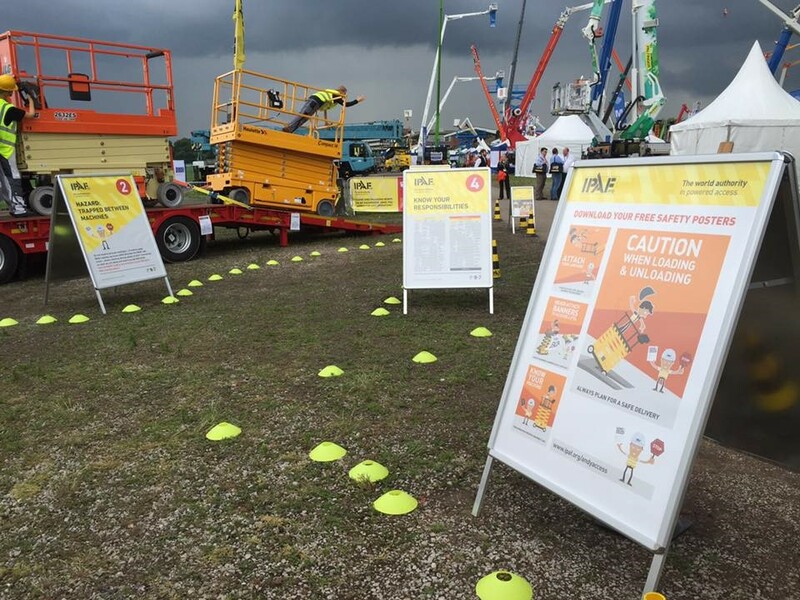 There is a clear need for action and the findings from the accident reporting project are being used by IPAF to improve its course on loading and unloading MEWPs.